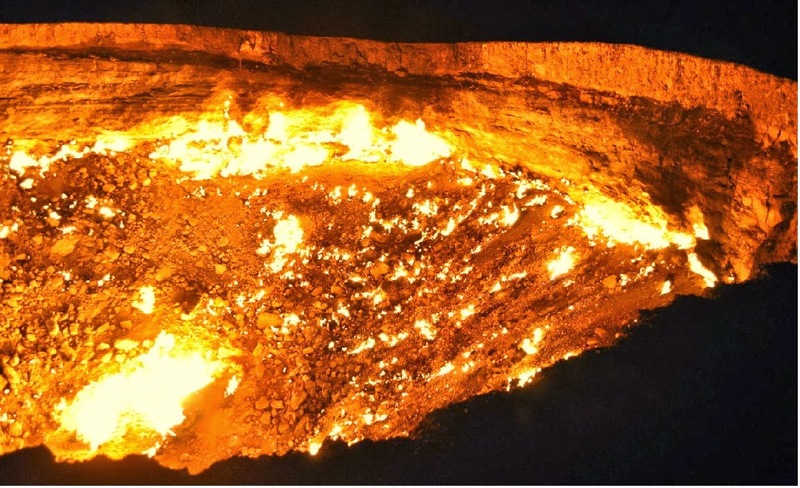 Popularly known as the “The Door to Hell,” this burning crater is a 196 feet wide and 65 feet deep hole in the Karakum desert in Turkmenistan. It has been burning for the past 38 years. It is not of natural occurrence, but by the exploration accident of a Soviet company. The geologists decided to burn away the poisonous gas to protect the local people. These two caves together make up the longest explored cave in Lebanon. Found in the outskirts of Beirut, these caves attract thousands of visitors for it stalactites formed in different colors. The world’s largest stalactite (26.9 ft.) is found in these caves. Being one of the largest barrier reefs in the world, it is also known as “The Great Blue Hole.” It has atolls, hundreds of cays, mangrove forests, coastal lagoons and estuaries. It is so big that much of it still stays undiscovered and only 10% of its marine life has been identified. It is very famous for its clear and warm protected water which is very apt for snorkelers and novice divers. Found in the surreal landscape Mauritania, in the Sahara Desert, this mysterious Eye of the Sahara is also known as the Richat Structure. This circular structure was once thought to be a crater, but now it has been determined to be an outcome of erosion. With almost 25 miles diameter, it looks like a gigantic bulls eye from space. This Ischigualasto Formation, popularly known as the Valley of the Moon, is filled with strange clay formations of different shapes and colors, which were created by deposition of minerals and sediments. It houses dinosaur fossils dating back to 225 million years ago, and has all the dinosaur fossils from the Triassic period. This crater is such a beautiful natural wonder because; it is a deep, volcanic crater that is the largest unflooded and unbroken caldera in the world. It was created by a volcanic eruption 2-3 million years ago. It is 13 miles across and 2000 ft deep. Today it houses nearly 25,000 wild animals. There are many resorts around the crater. This attracts many visitors to see the animals in their natural habitat. 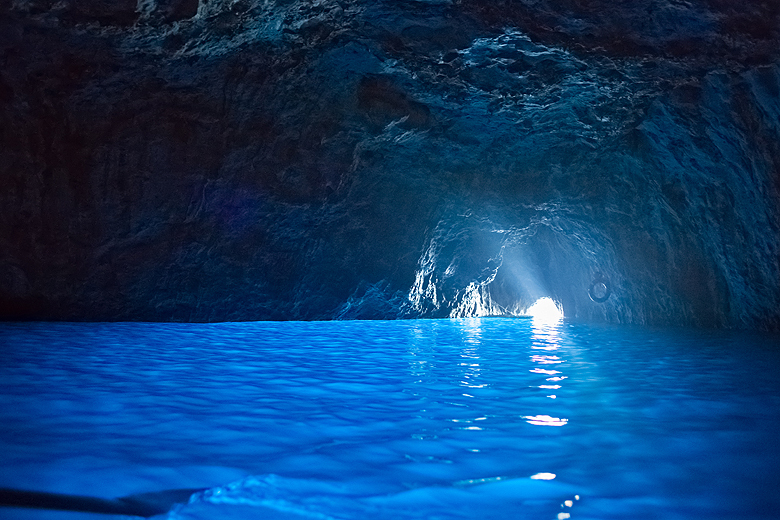 This is a sea cave made of limestone on the coast of the island of Capri. The water inside the cave has a brilliant sapphire blue color. This is because of the light entering this cave through another one which reflects off the whit floor of the water. This creates an magical environment which was once a bathing spot for emperors. Found in the Yunnan province, the Shilin Forest spreads over 135 square miles looking like an ancient petrified forest filled with rock formations that jut vertically from the ground. It is suggested to have been formed 270 million years ago. It was formed when a large sea covering the area was made to retreat due to the constant movement of the earth, allowing the limestone cliffs to rise. The Slot Canyons are very deep canyons, with very unique shapes, formed when water was rushed through sandstone and limestone. They are found in Arizona and Utah. Situated just outside Glen Canyon National Recreation Area is the most visited Antelope Canyon, just outside slot canyon in the Southwest.